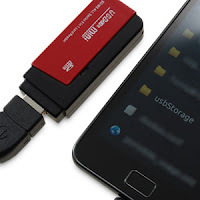 I know the title of the post is a bit long but its worth mentioning to emphasis how cool it would be to connect your Android Smart Phone or a Tablet with your existing Keyboard, USB Flashdrives, Gamepads, Mouse, music players or any other device you have that works on standard USB slot and use as extension to your device!!!! It can be used for so many imaginable purpose! 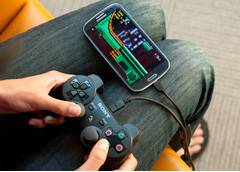 Google's mobile platform added a new trick to its repertoire – USB host functionality. 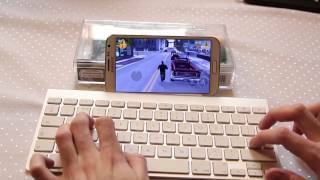 In plain words, that allows for Android devices to work with a broad range of USB peripherals, such as keyboards, mice, USB flash memory sticks, and even gamepads. But what about smartphones and tablets that don't have a full size USB port? Well, they still can get along well with such accessories too, with the help of an inexpensive gizmo. 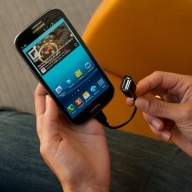 The USB On-The-Go cable adapter plugs into the microUSB port of an Android device and provides a standard size USB port on its other end. All you have to do is to plug in the desired USB accessory in there and you should be good to go. One can use a keyboard to type while the device is dock or can also use a USB drive to transfer files from it and to it......the world of possibilities would implode on thinking what all comes that can connect via USB! One can buy go to USB ports easily from India / US or any matured market or can also do a search in eBay / Amazon to get some good bargains. They range around 3 to 5 USD while 250 to 500 INR. 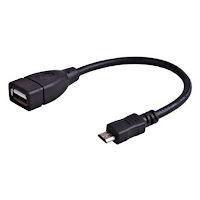 Those of you who might get one, what USB accessory would you connect to your smartphone? Drop a comment below and let us know.